Lip fillers such a Juvederm, Teosyal and Restylane are only temporary dermal fillers, lasting anywhere from 6 months to 2 years. Once lip fillers break down, the body will naturally and easily metabolize the lip filler and lips will gradually return to their original shape. The breakdown of lip injections will not happen overnight since lip fillers can stimulate the production of the body’s own collagen which can lengthen the longevity of lip fillers. If you’ve been getting lip fillers for years and have decided to take a break, be aware that although your lips will return to their original shape, the aging process will still continue to take place. Contact Lasting Looks Clinic in Toronto at www.lastinglooks.ca/contact for a free consultation. 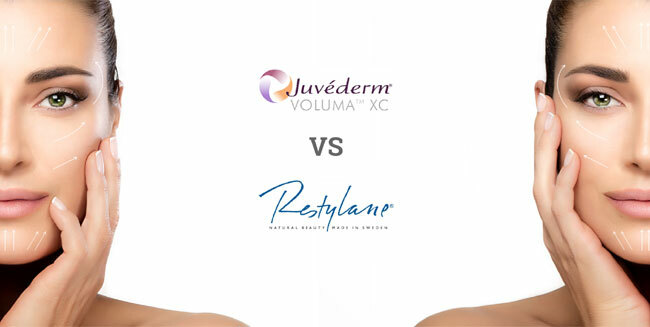 Two leading brands of temporary dermal fillers are Juvéderm and Restylane. Knowing more about the differences and similarities between the two can help you determine which dermal filler is best for you. Both dermal filler products share similarities. Both Juvederm and Restylane are FDA approved. They both are manufactured in Europe and are synthesized Hyaluronic Acid , a product naturally produced in your own body, Hyaluronic acid is what gives your skin moisture and maintains the water in the skin. Since this is an all-natural ingredient, there is minimal risk of any allergic reaction. What is the difference then between these two products? Juvéderm is considered to be smoother than Restylane and less likely to leave bumps . Juvederm also has 35% more hyaluronic acid and is crossed linked. 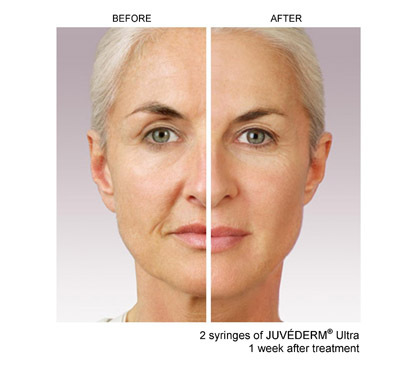 Juvederm promises to last between 9 months and 12 months. It is said that Juvederm has a tendency to be flattened into the skin tissue over time, and does not provide the lifting effect of Restylane. Restylane seems to be more cohesive, meaning that it is more likely to stay where it is placed, even after time. Because of its cohesive nature, Restylane has an advantage when it comes to filling deeper lines and wrinkles that need correction. The choice between these two top-notch dermal fillers can be difficult. Regardless of whether you choose Juvederm or Restylane, expect the treatment process to be very similar. You can receive good results with either product. An experienced injector can work with either product and provide beautiful results. To book your consultation and see which product is right for you visit our website. 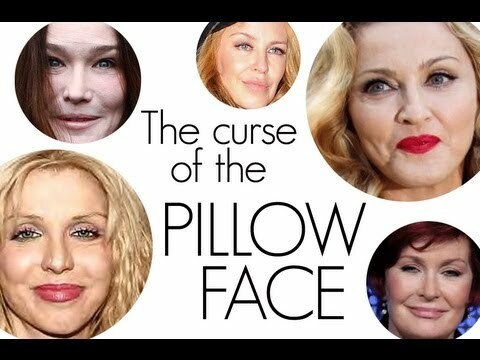 Madonna and Kylie Minogue are examples of stars whose new, youthful glow seems to suggest they may have had dermal fillers or fat implants in their cheeks, causing a pillow face effect. Nicole Kidman appearing at the Cannes Film Festival with a puffy face led cosmetic surgeons to speculate that she has gone overboard on Botox and Dermal Fillers. The same can be said about Tom Cruise after his recent red carpet appearances especially at the BAFTA awards. As the search for the fountain of youth continues, more people as well as celebrities are leaning towards a more plumped-up look, as opposed to the pulled back ‘wind tunnel’ results of the traditional Face-lift procedure. In the past, Botox has been the go-to treatment to turn back time, freezing the aging process, however Botox does nothing to counter the effects of volume loss. The new term given for this trend is called the “Pillow Face”. There is a simple explanation for “pillow face” and “blowfish” lips; it is simply the overuse of injectable filler. The amount of filler used should always err on the side of caution, since volume can continue to develop over the months that follow – and too much will result in the dreaded puffy ‘pillow face’. Years ago, fillers such as Collagen were popular and were used to fill folds and wrinkles giving a very natural effect. Although it fulfilled the purpose, it didn’t last very long, and the fact that it was sourced from animals (bovine) collagen, gave it a higher risk for allergic reaction. Fast forward to today, there is many name brand Hyaluronic Acid fillers available from all over the world such as Juvederm, Teosyal and Restylane. Hyaluronic Acid is very safe and stable and lasts much longer than previous fillers. Most injectable fillers and wrinkle injections used today are made from Hyaluronic acid and can last from 4 months to 2 years. Hyaluronic acid is a substance produced naturally by the body that binds with water to plump up sunken, aged skin. If too much is used or misused, puffiness occurs. Due to the fact that Hyaluronic Acid is able to “pull” water it is always best to adopt a less is more attitude. You can always add to the area a week or two later if more fullness is desired. This is especially true when placing filler under the eyes to fill the tear trough as well as when enhancing the cheeks. Fillers work wonders when they are used correctly and in moderation. It is very easy to say “just a bit more” and go from looking natural to overdone and puffy. Visit us at Lasting Looks Clinic www.lastinglooks.ca in Toronto to book your consultation to see if you are a candidate for dermal fillers. Movie stars and Reality TV stars are a huge inspiration in attempts to achieving the perfect lips. If you’re considering a makeover for your lips, there are a few dos and don’ts you need to be mindful of when considering lip filler treatments. Find out the type of injectable filler you will be receiving, and that the filer is suited for lips. It is important to inform the doctor if you’ve had any history of cold sores, as medications can be prescribed to minimize an occurrence of them after lip injections. Bring photos of what you are expecting to achieve. Be realistic, don’t expect lips like Angelina Jolie in one treatment. 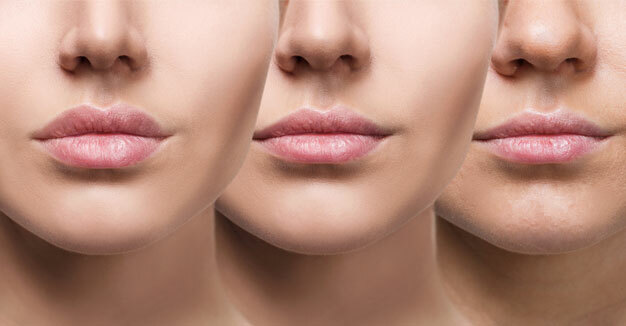 You would need these lip injections spaced apart, as it is a gradual process. This should never be attempted within one treatment. Wait at least a week for your healed results before making any decisions or attempts to adjust the size and contour. Before lip augmentation, DON’T take aspirin, anti-inflammatory medications such as Advil, Fish Oils, or high doses of vitamin E. Medications that causes blood-thinning will increase your risk of bruising and bleeding. Avoid kissing for 48 hours post lip injections. Product is malleable and may shift and distort lips. DON’T massage your lips! Again product is malleable and may move or shift. DON’T have this treatment right before a big event. 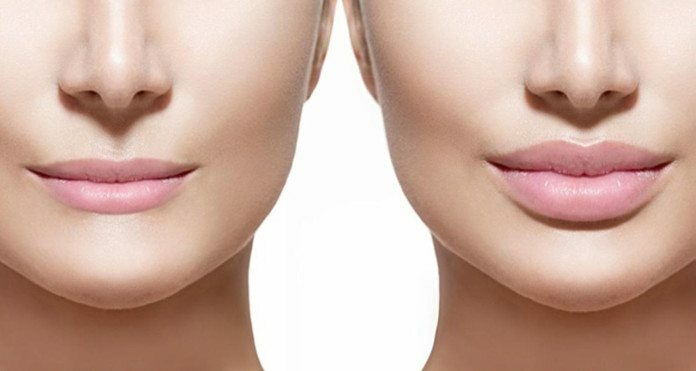 It is likely that your lips will swell, and you’d likely want to have lip augmentation done a week or two prior to wanting to look your very best. Avoid excessive heat exposure such as the sun, sauna and tanning beds; during the recovery period as this will increase swelling. Dermal Fillers have been used for over 20 years to plump lips, fill nasal folds and marionette lines as well as plumping the cheek area. A lot has changed since then. Years ago wrinkle fillers were generally made of animal collagen which meant that you had to be pre-tested to ensure that you wouldn’t be allergic. Besides not knowing whether you were a candidate or not, these dermal fillers (although great at the time) only lasted about 2 months. Dermal Fillers today are far more versatile, safe and much longer lasting. Lasting Looks Clinic in Toronto carries a range of Hyaluronic acid fillers by Juvederm , Teosyal and Restylane. Each brand has a filler to suit your wish list, whether its fuller lips, cheeks, filling wrinkles, filling under eyes (tear troughs) or nasal folds, there is a product for each. There is no pre-testing required as these injectable products are not animal based. All of the dermal fillers that we use have been approved by Health Canada. Our team of Doctors and certified injection specialists are here to help you to achieve the more youthful rested look that you desire.